This is the complete unabridged book, Butterflies Are Free To Fly: A New and Radical Approach to Spiritual Evolution, in .mp3 format to listen to on your computer or iPod or other MP3 players, narrated by the author. It is 14 hours long, and you will be downloading a .zip file of 740 MB, so please be patient. 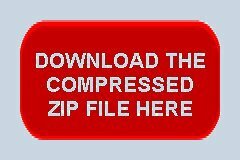 Once downloaded, of course, you will need to unzip it with whatever zip software you have, and you will end up with 36 chapter files – along with an Introduction and three Prefaces – in mp3 format. Chapter 3 (31 minutes) – What’s Wrong with This Picture? Chapter 20 (25 minutes) – Who Am I? Chapter 22 (4 minutes) – One Big Hologram? Chapter 25 (13 minutes) – Are We All One? Chapter 26 (4 minutes) – One Player Per Infinite I?